Upcycling old books to create new favorites as blank book journals or diaries. 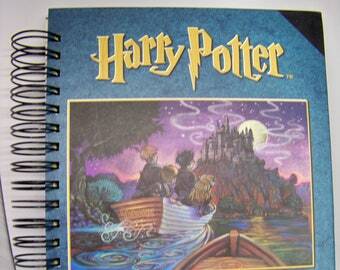 At barn shows, people always ask for Harry Potter journals. Well, the regular books don't have pretty covers, but look what I found in Spanish. 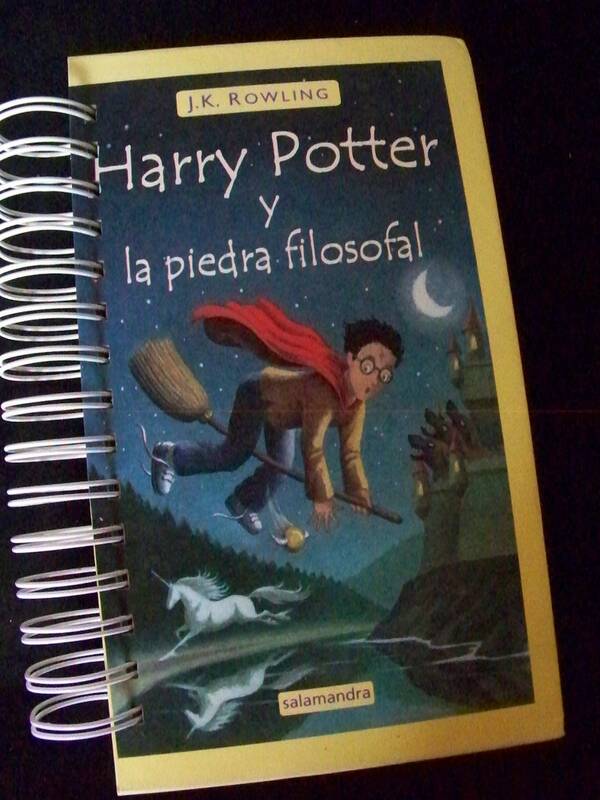 A Harry Potter book with a pretty cover, measures about 5 x 7 inches, sturdy covers, Spanish chapter or two and then packed with blank writing paper in various colors plus heavier cardstock. Quidditch anyone?